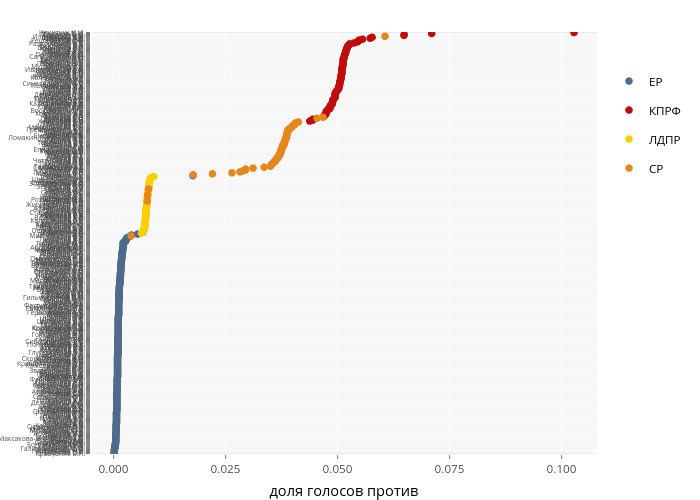 Smarcel's interactive graph and data of "ЕР, КПРФ, ЛДПР, СР" is a scatter chart, showing ЕР, КПРФ, ЛДПР, СР; with доля голосов против in the x-axis. The x-axis shows values from -0.00505452519302714 to 0.107896203136194. The y-axis shows values from 0.4 to 448.6.